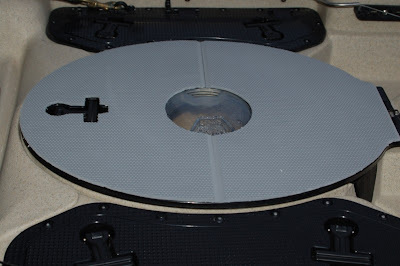 I while ago I started a project for my Malibu Stealth 14 Kayak to put some SeaDek material on the casting platform. Spending most of my time poling, the hard plastic deck of the Stealth 14 made for some sore feet. So I got some prepackaged Sea Dek material and planned out my project. 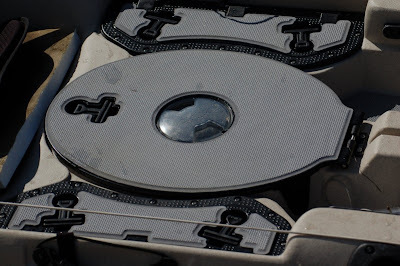 First I started out by making some templates of the casting platform and side hatches. Simple construction paper works really well for making the templates. I then cut the material, which came in separate pieces. 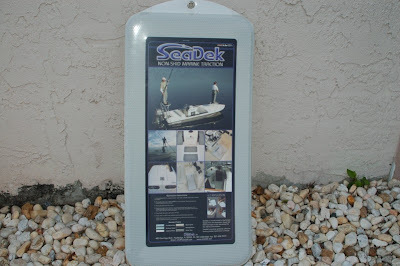 Sea Dek comes in several different sizes and colors. Its very easy to cut with a razor blade, you can even cut it with a pair of scissors. I recommend using a razor blade or razor knife, and make your cuts against a hard edge. This will make a nice clean cut. I had chosen to cover the side hatches, as I don’t use them at all and wanted the full padding while standing. It gives you additional traction support when pulling yourself up to stand, provides some padding for your feet, quiets noise from dropped objects and looks really cool. This Sea Dek material is very easy to work with, but be forewarned. Be ready to apply it once you peel off the backing. Its very, very sticky and does not come off very easily. He is also on the Malibu Pro Staff and had been thinking of putting some of the Sea Dek on his Stealth 14 also. Shortly after talking with Alex I got a call from Tyler Shealey of Castaway Customs. 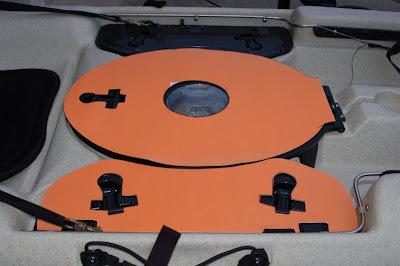 Tyler was able to scan a Stealth 14 and cut some custom pads for the casting platform, side hatches and foot well area. These are really great in reducing pain and fatigue on the bottoms of your heels on those days you spend a long time on the water. 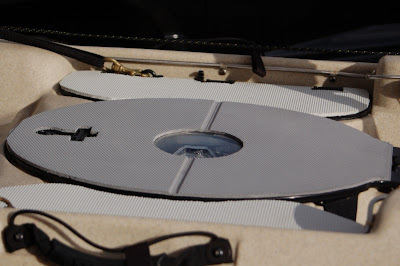 By cutting the side hatches in this manner, they are still readily accessible. They can be cut to cover the whole hatch if you so choose. 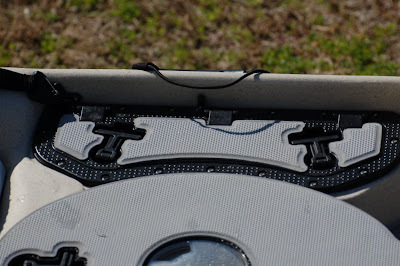 Plans are underway to scan other kayaks; Native Ultimate’s being the next one Tyler will be doing. Kits for the various kayaks will also be available, give them a call at 321-537-2039 for your custom creation. SeaDek, its not just for boats anymore.